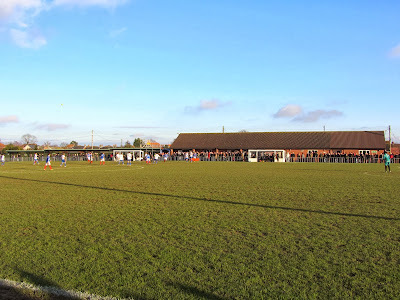 My twenty-eighth stadium of 2013 was on Thursday 26th December 2013 at Victory Road in Leiston, Suffolk. 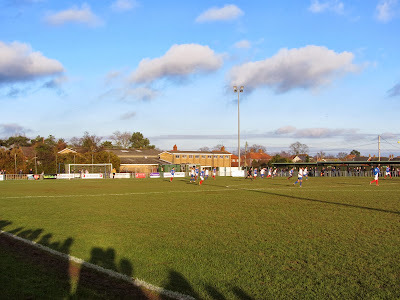 The match was Leiston vs. Lowestoft Town in the Isthmian League Premier Division. Victory Road is on the western outskirts of the small town of Leiston. The sports complex containing the ground is surrounded by housing on three sides with fields to the west of it. The nearest railway station is Saxmundham, four miles north-west of the town. 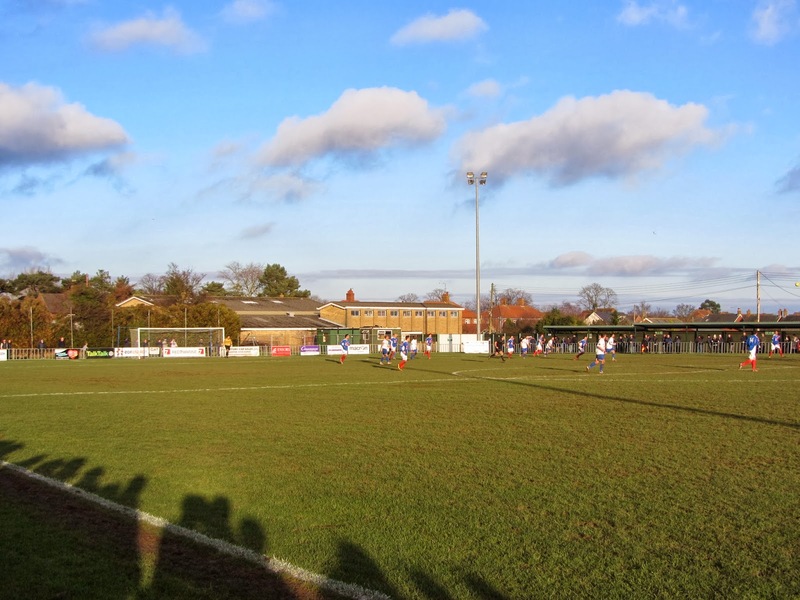 The venue has been home to the club since 1921 when they left their former Recreation Ground home. 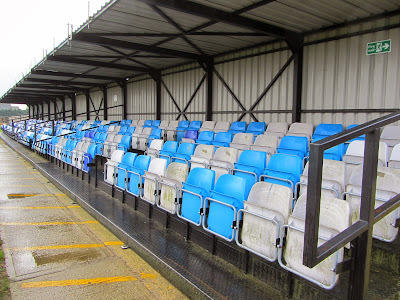 The ground's one all-seater area is located on the western side of the pitch. The club have experienced a rapid rise up the football league ladder in recent years and in order to improve their ground gradings this 248-seat structure was completed in March 2013. During these renovations a small covered terrace section was moved to the area behind the goal at the southern end of the ground. On the eastern side of the ground there is a covered standing area on raised concrete which runs from close to the half-way line up towards the northern end of the venue. This side of the ground also contains the club facilities. There is a large bar (split into different sections for members and non-members), a club shop and the dressing rooms. The remainder of the ground is uncovered standing with a strip of concrete extending round three sides of the ground providing hard standing. 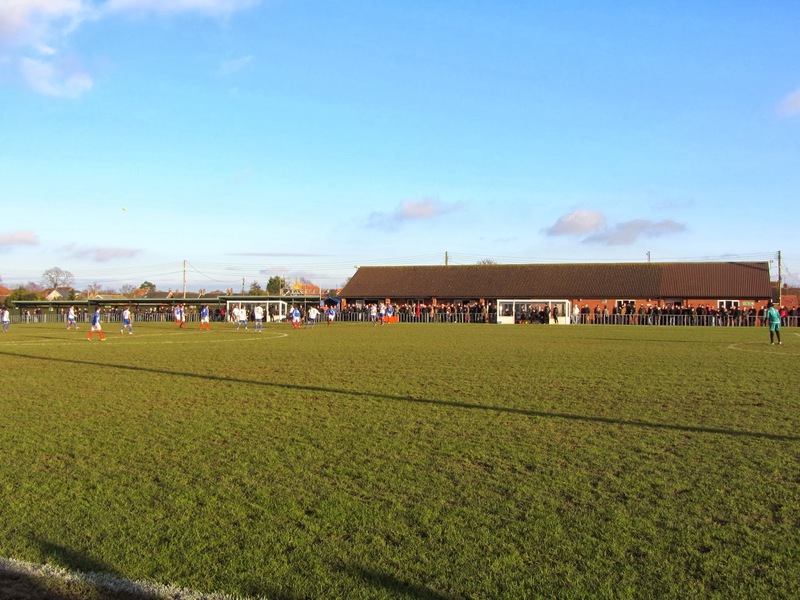 Leiston entered the game on on a run of three straight wins as they sought the safety of mid-table at the half-way stage of the season. However, they did not start the game particularly well with the visitors putting them on the back foot for the majority of the first half. In the 13th minute Lowestoft had a very good chance to net the opener when they had a player go clean through against the goalkeeper only to drag the shot wide. This let off for the hosts was all too brief though as barely a minute later the visiting side had the ball in the net. Some neat link-up play around the box saw the ball clipped over to Jake Reed who drilled it into the bottom corner of the net. 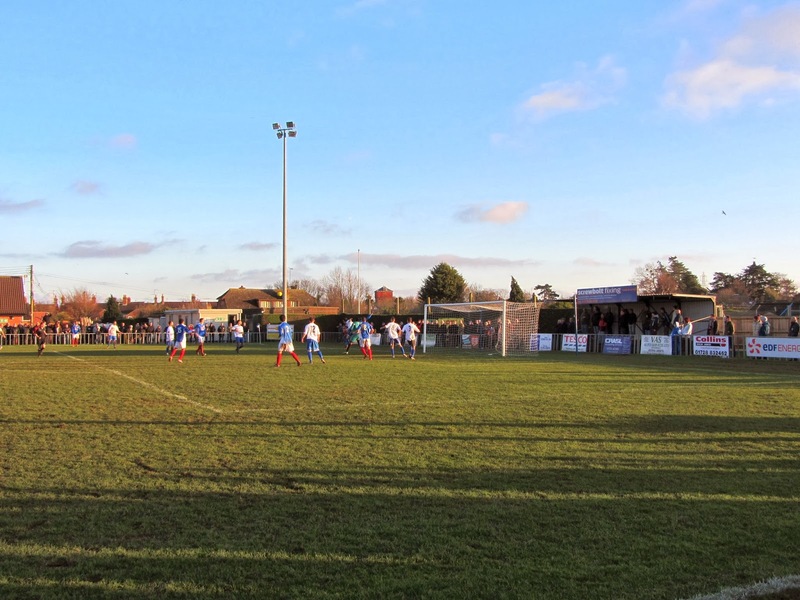 Leiston really struggled to get into the game in the opening 45 minutes and could consider themselves fortunate to go in only 1-0 down at the break. Just after the restart Leiston almost went 2-0 down but their goalkeeper made a terrific save when he tipped a curling shot onto the frame of post and crossbar. Leiston improved on their first half display in a more even 45 minutes where both sides could have netted. The best chance of the game for Leiston came deep into injury time when one of their attackers headed wide from just six yards out. The final whistle blew shortly after this as Lowestoft recorded a 1-0 away victory.